My first experience with beekeeping was through Africanized bees. This is the only bee available in Honduras so I learned how to deal with their defensive behavior and take advantage of them for honey production. A lot of trial and error has been involved over the last 24 years to determine what I could or could not do. 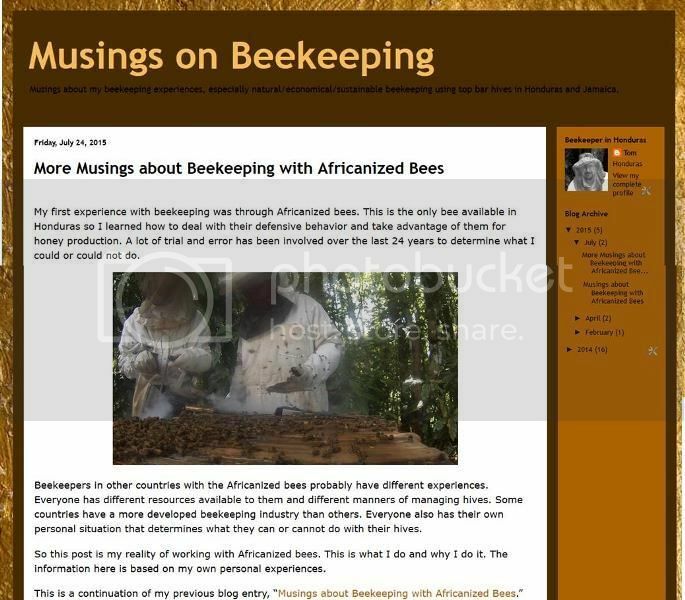 Beekeepers in other countries with the Africanized bees probably have different experiences. Everyone has different resources available to them and different manners of managing hives. Some countries have a more developed beekeeping industry than others. Everyone also has their own personal situation that determines what they can or cannot do with their hives. So this post is my reality of working with Africanized bees. This is what I do and why I do it. The information here is based on my own personal experiences. Those orange bees on your pictures almost look like my Buckfast bees. I like that look. Do you have varroa in your africanized bee hives? How do they cope with that pest? Heared in Brazil another subspecies of the varroa arrived and the africanized bees loose their resistence to varroa.